I'm sure the Germans must have a word for it. (What does "Gunter gleiben glauchen globen" mean, anyway?) But, far as I know, there's no good English word or phrase to describe the sensation, unique to critics, of being entertained by a show you dislike in every way a thing can be disliked. "Guilty pleasure" doesn't quite get there, because there's nothing inauthentic about having one's biases dismantled by the right cast, or some clever staging. The 80's-era jukebox show Rock of Ages collects all of my least favorite songs from high school (snatches of Benatar and actual guilty pleasure "Sister Christian" excepted) and plops them down in a thin romantic comedy set on the Sunset Strip in a fictionalized Whiskey-a-Go-Go during the sleazy heyday of hair metal. It's a fine locale for exotic bird-watching, and almost relevant as America lists in a gaudier, greedier direction. Director Scott Ferguson keeps things light and moving, and the cast sells it even when some of them can't quite sing it. Either way, I could recommend this entirely were it not for some excessive mugging, and "We Built This City," an automatic deal breaker. Still, if you need some 80's-era escapism, Playhouse on the Square's got a great big jellybean jar full of the stuff. Full review to come. 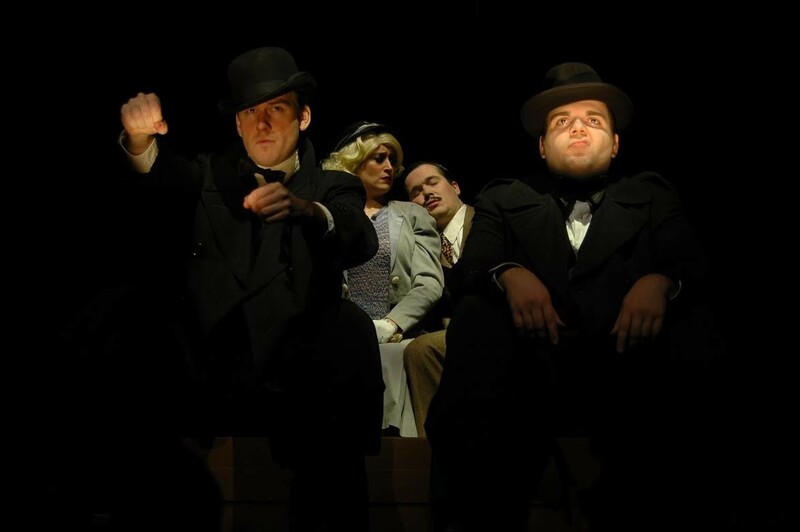 The 39 Steps (opening at Theatre Memphis) is a fine example of what's possible when performers throw out all the old rules about "suspending disbelief" and simply ask audiences to engage their imagination and play along. Suddenly, anything's possible. This giddy homage to Alfred Hitchcock is built on one primary conceit: A small company of actors play 150-plus characters, recreating events from various Hitchcock films that are impossible to recreate onstage — being chased by airplanes for example. When it works it's what fun theater is all about. Man, Bayard Rustin is a complicated individual. He was an architect of the Civil Rights movement but isolated within the movement, not because of his prison time, but because he went to jail for things like standing up against the draft and being gay. He was as a nonbeliever among ministers — a Communist who eventually became a neoconservative. As a labor organizer his common sense mantra "from protest to politics," shifted responsibilities from individuals to intermediaries at the moment when corporations became people, money became speech, and the movement became unraveled. 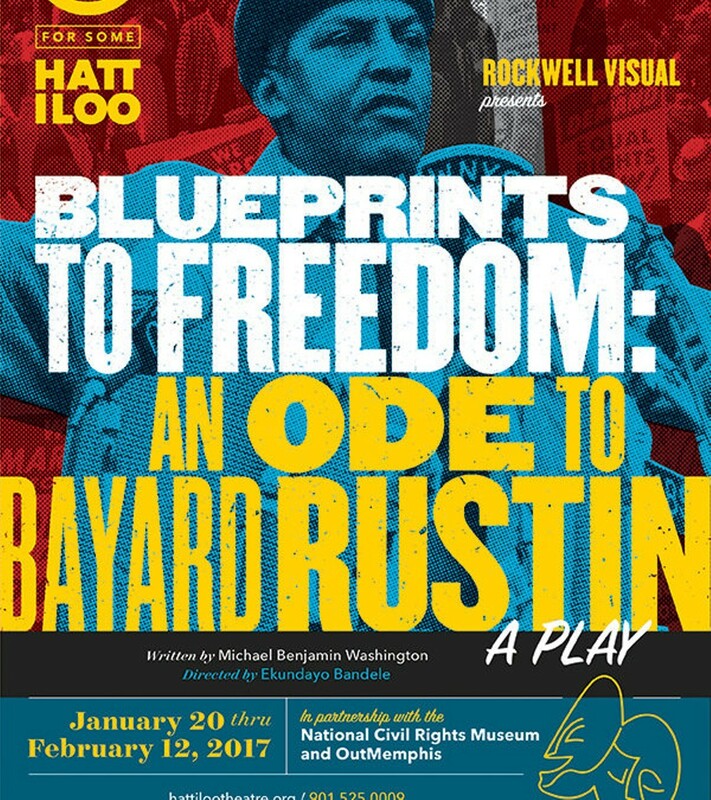 Blueprints to Freedom, a new play opening this week at the Hattiloo Theatre drops in on Rustin in the tense Summer of 1963. 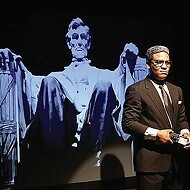 It depicts a man of conviction and contradiction confronting an enormous, assignment — to organize an unprecedented march on Washington D.C. When it comes to subject matter, you simply couldn't ask for better.